At Book Aid International we have been working for more than 60 years towards a world where everyone has access to books that will enrich and improve their lives. Increasingly, our focus is on the people and the communities where the investment of brand new books has the greatest potential to create change. With an unprecedented 65.6 million people around the world forced from their homes, it is no longer enough just to focus on a country or region that needs the books that we can provide. In Kenya, for example, Dadaab and Kakuma refugee camps are home to more than 420,000 refugees who cannot travel without permits or even leave the camps at night. In effect, these refugees live in a different country entirely - one that is not served by the national library or government schools. It is these "countries within countries" that we aim to reach by working with the NGOs that work in the camps: the Windle Trust and World Lutheran Federation. Sending books to either camp requires a journey that can be dangerous and take many weeks. Dadaab is on the border with Somalia, a contentious area where Islamic extremist groups are active, and reaching Kakuma by road requires passing through unsafe regions in Kenya's northern provinces. Despite the challenges, we continue to work with our partners to increase the number of books reaching these camps, because they are a lifeline for the people who live there. In Kakuma's single community library, children can wait for hours to read and study. The books offer a rare opportunity to learn, succeed in education and to catch a glimpse of the outside world. On a recent trip to Kakuma, I met 22-year-old Yvonne, who was born in a refugee camp and has lived in three camps over the years. I asked her why, given all the challenges she faces, books have value. "From my childhood I have seen people succeeding through education - and you get education through books," she said. "My dream is to go out of the camp and become someone who has an identity in a country. I am going to achieve this through books. I applied for a scholarship and I am praying to get it, but if I did not have books, I do not think that I would have learned anything and I would not have been qualified to apply for a scholarship." While reaching Kakuma and Dadaab is challenging, they are far from the most inaccessible places where the books publishers donate are being read. After months of work last year we were able to deliver 1,899 books to Jusoor Syria, an NGO supporting Syrian refugee children in Lebanon. These books are, of course, helping children continue interrupted educations - but they are also delivering a few hours of escape from the trauma refugee children face. One young reader told us: "I love school and I like it when the teacher takes us to the library to read. I forget about the war and that I live in a tent. Now I can learn about the world." In March, after a year of working to find a safe shipping route, more than 7,000 brand new books donated by UK publishers arrived in Mosul, Iraq. Mosul fell to the so-called Islamic State (IS) in June 2014 and remained under IS control for three years. In 2015, IS fighters deliberately destroyed the library of the University of Mosul, burning thousands of books in what UNESCO called "one of the most devastating acts of destruction of library collections in human history". The donations include 3,791 carefully selected books to help the University of Mosul rebuild its library collection and get students back to learning. Alongside the books for the university are 3,452 new children's books that War Child UK will use in its work with children who have been affected by the conflict. Dr Alaa Hamdon from the University of Mosul spoke of what the arrival of books means to him: "I am so looking forward to seeing these books reach the library shelves. My hope and my dream is to see those books being used by students and readers." Even in the Occupied Palestinian Territories, where most people speak Arabic and the day-to-day challenges of making ends meet in the face of instability, roadblocks and even outright violence can be overwhelming, the demand for books in English keeps growing. 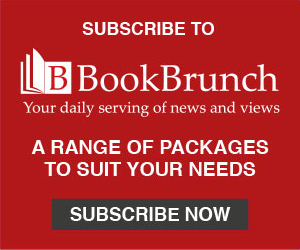 We have heard school librarian Maha's sentiments expressed again and again: "There are not many publishers here and we cannot have post delivered directly from any other country. Books in English are really valued. Parents encourage their children to learn English so that they can get good jobs. Children love to learn it because it makes them feel connected to the outside world." As we continue to expand our work we are reminded by Maha, Yvonne and many like them of the need for books and of their universal power. While the places where books are most needed changes over time, the fundamental need for the information that those books provide does not. That information is a currency which never loses its value. With the continuing support of the publishers who generously donate the books we send, we look forward to many more years of providing books around the world. 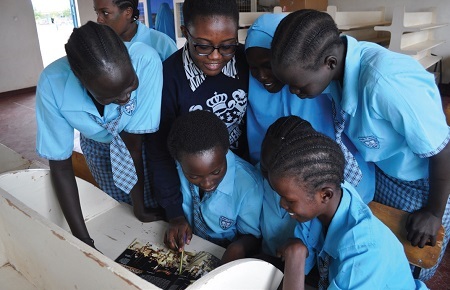 Photos: (top) Yvonne reading with refugee girls in Kakuma refugee camp, Kenya; (above) school librarian Maha reading to schoolchildren in the West Bank. Emma Taylor is head of communications at BookAid International (Stand 4A03). She can be contacted at Emma.Taylor@bookaid.org. This article first appeared in the Publishers Weekly/BookBrunch London Book Fair Show Daily.